The World Heritage Convention arose from the need to identify and protect outstanding natural and cultural sites for future generations. Over time, the effectiveness of the Convention has led to an increasing number of sites inscribed on the World Heritage List, resulting in not only a List including a great variety and number of places around the world, but an awareness of these sites that matches their global importance. In tandem with this recognition of our heritage – and the appeal of these sites often enhanced by World Heritage inscription – the tourism industry has exploded at a phenomenal rate, resulting in unprecedented numbers of visitors to sites both accessible and remote, compounding the issue of preserving sites even as we express our appreciation for them. 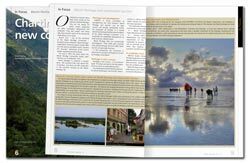 Thus the need for a sustainable approach to the planning and management of tourism, an industry that takes into account the needs of both the sustainability of the sites we visit as well as the visitors, that considers the needs of the local population and the impact mass tourism can have upon them. The rapid growth of tourism over the recent decades has turned out to be both a challenge and an opportunity–a wholly unexpected development with far-reaching consequences. Poorly managed and uncontrolled tourism can be a major threat for the values of heritage and for long-term economic development as a result of a degraded, less attractive and less competitive destination. However, when site managers and government authorities work together with local communities, tourism can become a benefit to sites and citizens alike, enhancing economic growth while addressing preservation needs and reinforcing the identity and well-being of local communities. When managed effectively, tourism allows communities to flourish and sites to remain intact. Everybody wins. 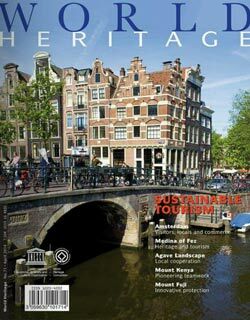 This is the theme addressed in the current issue of World Heritage and the various articles provide fascinating insights into the range of the issues that must be addressed on an ongoing basis. For one thing, site managers must avoid having their exceptional sites damaged or destroyed. But the local population must also be spared a similar fate: sustainable tourism must be organized in such a way that it brings social, economic and environmental benefits to those living on and around the site. Sustainable tourism planning and management places enormous responsibilities on those working to protect World Heritage and the articles in this issue highlight some of the good practices that have been adopted. The main articles of this issue provide fascinating testimony to the complexity of the matter, but also to the wonderful resourcefulness of the stakeholders at the various World Heritage sites. Consider the way in which the city of Amsterdam is currently handling the millions of tourists that flock to it every year; but also the measures taken by the Japanese authorities to allow visitors to benefit from the beauty of Mount Fuji without damaging it; or the ingenuity displayed by the teams managing the cultural landscape of Tequila in Mexico, or of Mount Kenya in Africa. Finally, the interviews with United Nations World Tourism Organization (UNWTO) Secretary-General Taleb Rifai, who describes the booming tourism business and its role in heritage preservation; and entrepreneur and philanthropist Huang Nobu, who discusses the role of enterprise in supporting and protecting World Heritage sites, offer two engaging aspects of the links between tourism and World Heritage.